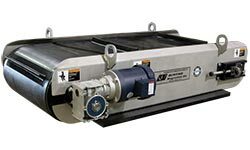 Separates small aluminum chips from shredded and ground plastic flake materials. Bunting’s clean, low-profile Eddy Current Separator uses Magnetic Finite Element Design to optimize the magnetic field, and maximize the focal point and strength of the gauss intensity. This results in the maximum separation of the flake material. Through this engineering design and software technology, Bunting Magnetics Co. customers can achieve the cleanest plastic flake materials possible. 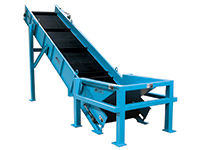 Low maintenance conveyor with an extremely tough urethane belts for longer wear. Cantilever frame weldment design allows easy slip off and on belt change within minutes. Double VFDs for optimizing relative belt speeds. 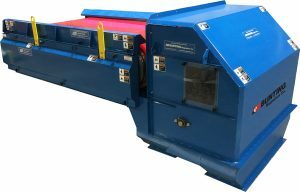 Bunting Eddy Current Separators are available in 24″, 36″, 48″ and 60″ widths to provide non-ferrous conductive metal separation from non-conductive recycled materials. 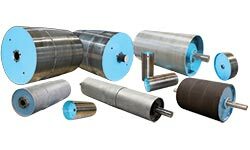 These are used extensively in the Plastics, Municipal, Electronics, Glass and Metal Recycling Industries to separate shredded aluminum, aluminum cans, bottle caps, hard drive housings and circuit board components into purer higher value product and metal streams. 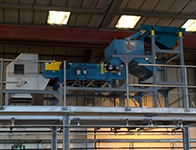 These units can also be designed into “custom systems” in combinations with Transfer Conveyors into and out of the system, Magnetic Drum Separation Feeders, High Intensity Magnetic Separation Conveyors, Magnetic Crossbelt Conveyors and Vibratory Feeder Trays. Bunting Engineers will provide 3D System CAD Models and 2D dimensional drawings for system review analysis when orders are placed. Uniform single-layer feeding for maximum separation efficiency.